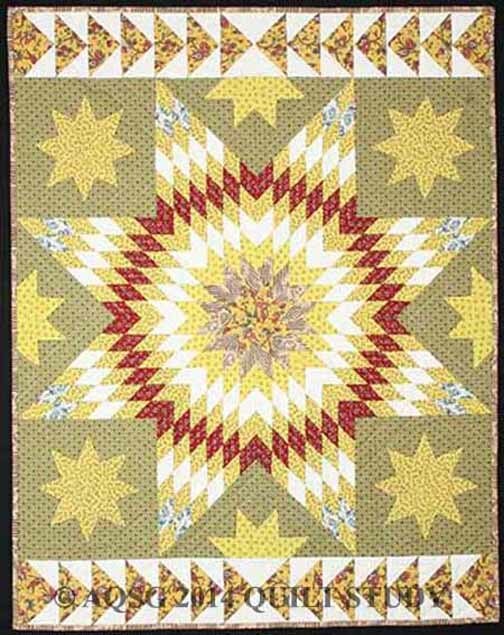 Pam interpreted a Civil-War-era quilt made by Cornelia Dow. 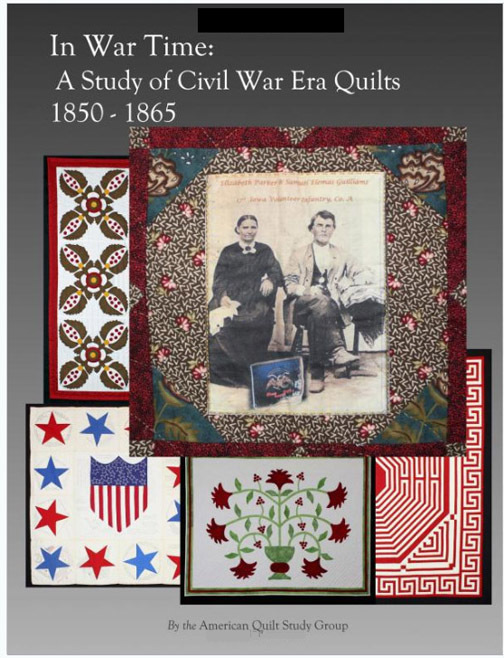 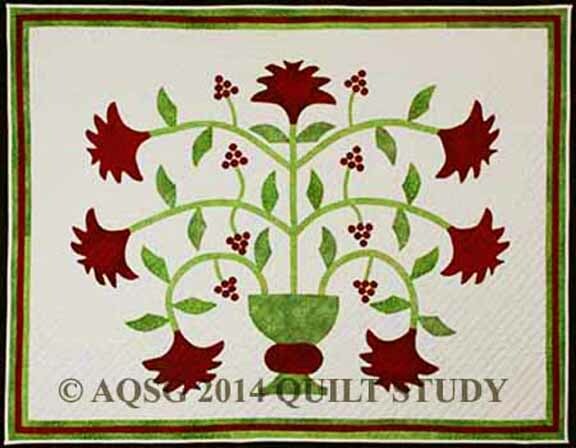 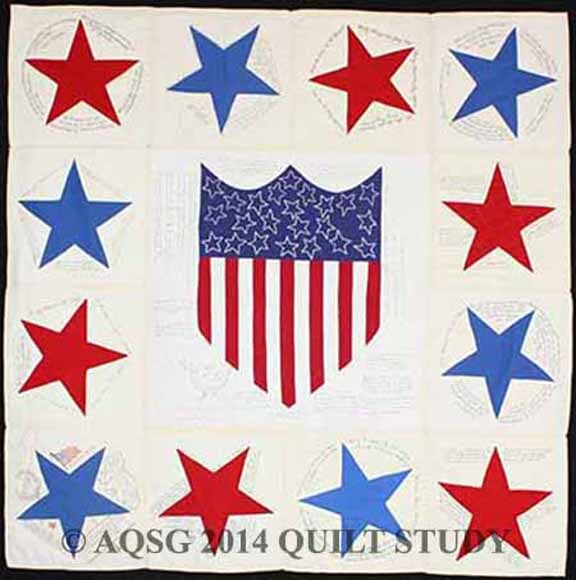 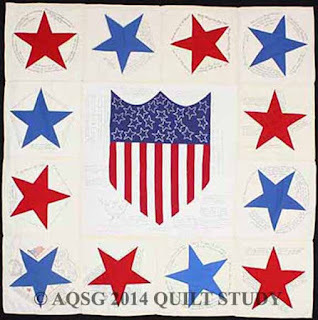 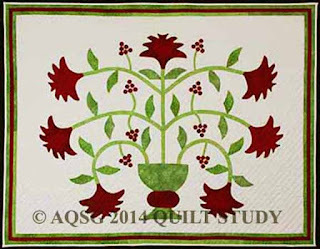 The American Quilt Study Group has self-published a book on their 2014 Quilt Study. 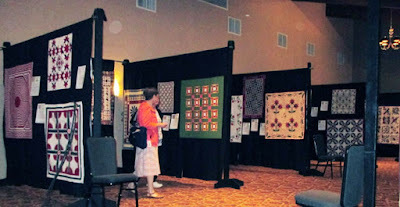 Members interpreted a quilt from the Civil War era, the time period 1850-1865. 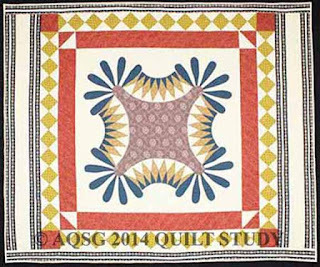 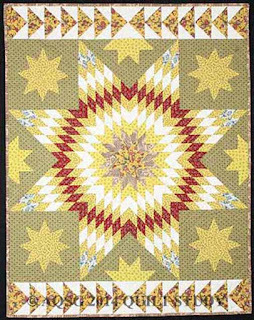 The study quilt reproductions were first shown at AQSG's Milwaukee seminar last September. 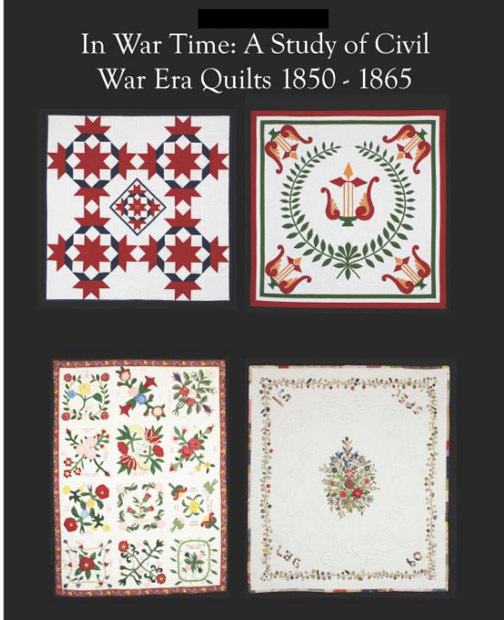 You can buy the catalog on Amazon, which offers distribution for such self-published books. 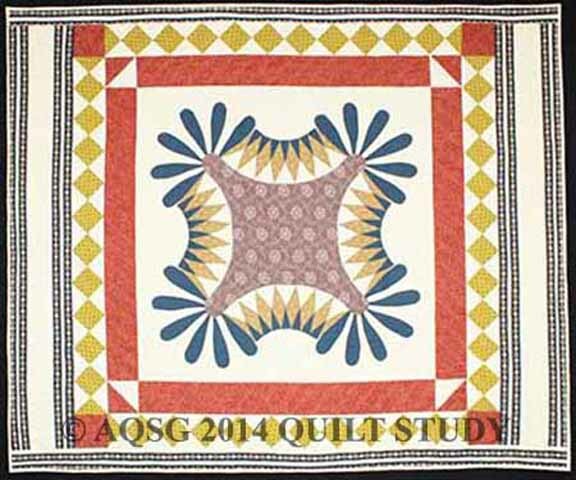 If you use this address to access Amazon and select the American Quilt Study Group in Amazon Smile, the non-profit receives an increased percentage of the profits. The book is available for $21.95. 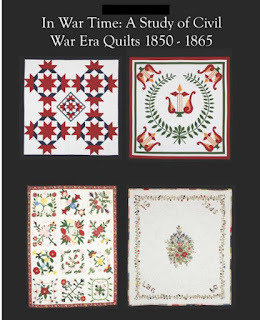 My book arrived on Friday and it is wonderful. 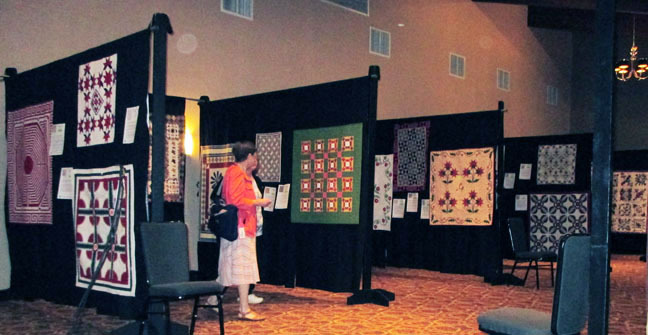 I can't wait to see them in person in Lowell.